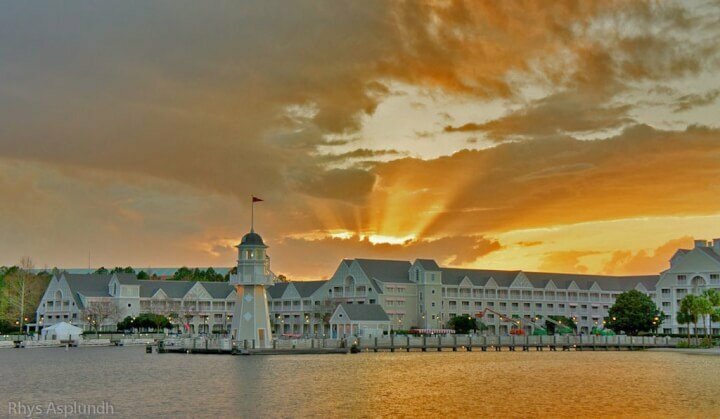 THE ONLY PROBLEM WITH STAYING AT DISNEY’S BOARDWALK IS CHOOSING WHICH AMAZING RESORT TO BOOK! Photo Credit: posted to Flickr by Rhys A. This post is part one of a multi part review of the Disney Boardwalk area. 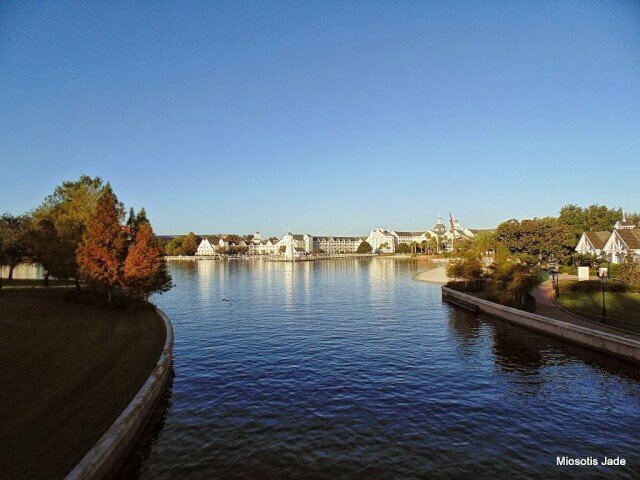 The Boardwalk is my favorite Disney resort location on property. In this post, I will give a brief overview of the resort properties located on the Boardwalk. Because there are so many great restaurants and entertainment opportunities on the Boardwalk, I will discuss those in separate follow up posts. I have stayed in Disney’s Grand Floridian twice as well as two other moderate Disney resorts, and I love them all! However, the location of the Boardwalk makes it my favorite area on property in Walt Disney World. 1 A Backway Into Epcot? 3.4 Is a Deluxe Resort Really An option? 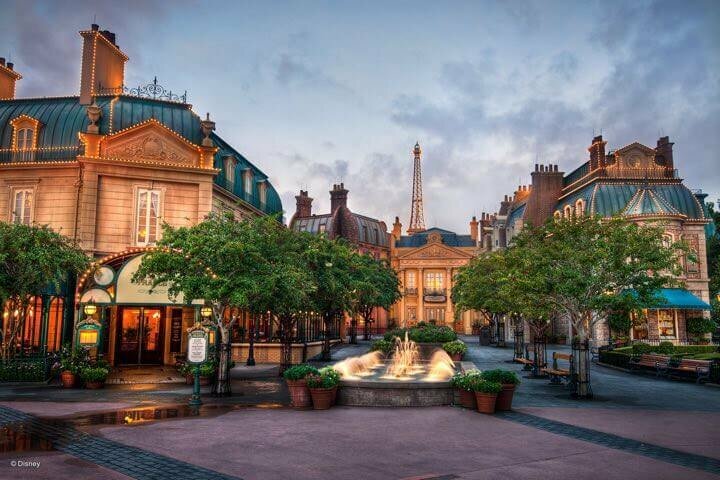 Did you know that you can enter Epcot on the World Showcase side? I didn’t know this the first few times we visited. I had seen on the Disney website an entrance called, “International Gateway” but being a Disney newbie, I had no clue where this entrance was located. In my experience, few others know it’s here and it is generally only used by those staying in a resort on Disney’s Boardwalk. But, oh what a grand place to be! 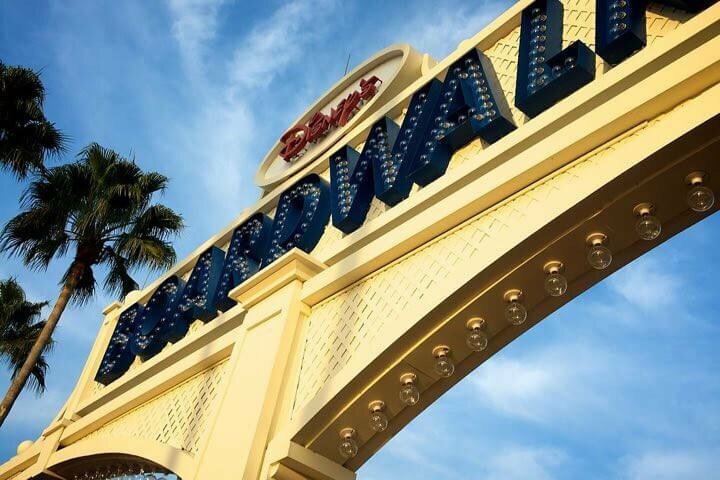 What makes the Boardwalk so special? 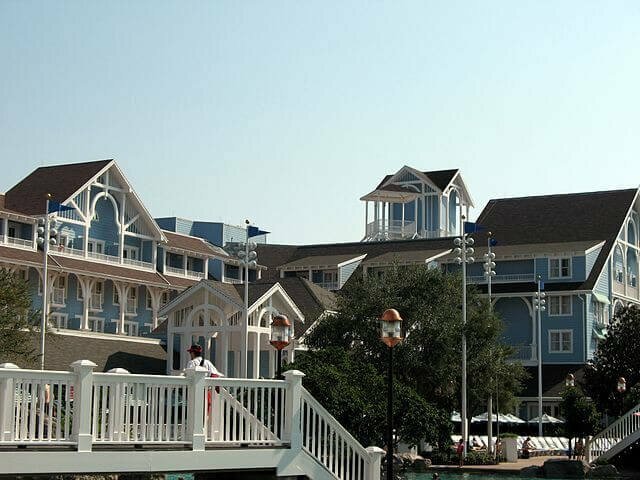 In addition to the less crowded back entrance into Epcot, Disney’s Boardwalk offers five wonderful resort accomodations, over twenty dining locations, shopping, and fun evening entertainment. First, let’s take a look at the resorts located in the Boardwalk area. There are some truly amazing resorts located in the Boardwalk area. There are five properties located here, three of these are Disney owned properties and two are Starwood resorts. 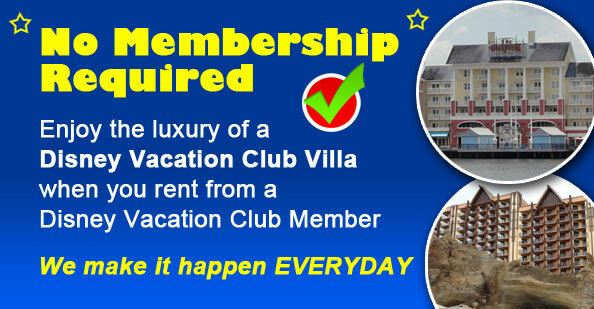 *As an affiliate, I can assure you that David’s Vacation Club Rentals is the largest and most trusted source of Disney Vacation Club Rentals in the world and many have saved THOUSANDS of dollars on their Disney vacations and you can too. No Membership is required. Start saving NOW at David’s Vacation Club Rentals. While I do earn a small commission if you use my affiliate links, I was recommending David’s prior to becoming an affiliate and this was why I sought out a partnership with them! They are great! The Swan & Dolphin is actually owned by Starwood Properties. There is quite an interesting history to this, but that’s a topic for another day. My first opportunity to stay in the Boardwalk area came when we picked up a few extra nights before staying at the Grand Floridian for a conference. Remember, I am a Disney Fanatic, so when hubby asked if I wanted to go a few days early at the last minute, I had no difficulty booking a room! We use an SPG American Express Rewards Card to earn hotel points on all our expenses. I easily booked the Dolphin hotel using points & cash. You cannot beat the location of the Swan & Dolphin imho, and with recently renovated rooms, it’s a win win in terms of location and savings. While the Swan & Dolphin are not “technically” Disney properties, they offer many of the same benefits as the Disney resorts. Don’t Be Confused: There is also a character meal located in the Land Pavilion inside of Epcot similarly named the Garden Grill! It generally features Mickey and Minnie, Chip&Dale, and Goofy. Savings Tip: The Fountain restaurant which serves sandwiches, burgers, and ice cream takes a AAA card for a 15% discount. This is something you won’t find at a Disney owned property. Just a little tip! For the purposes of this article, I have decided to put these properties together. 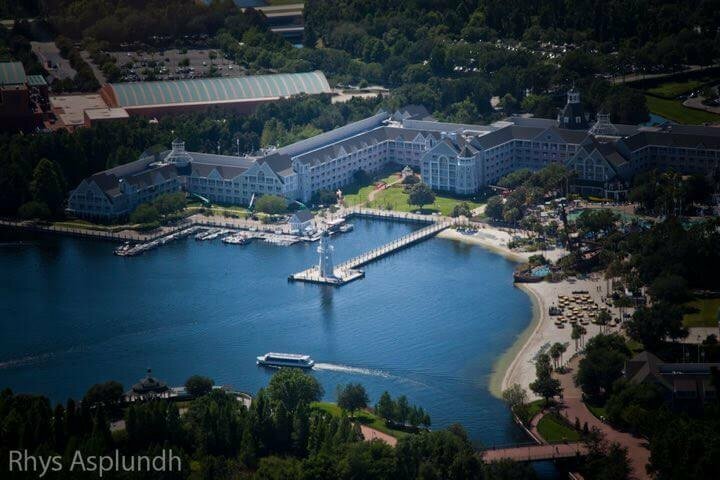 Many might say the Beach Club and Yacht club are slightly nicer than the Boardwalk Inn & Villas. However, in order to stay on the Boardwalk, I would gladly stay in any of these resorts. The Yacht Club doesn’t offer DVC rentals, however, so request Boardwalk or Beach Club when booking with David’s DVC Rental. There are opportunities for convention rates at the Yacht Club so consider doing a little homework if you want to stay here for a discounted rate. For a fun review on the Beach Club check out my friend at My SoCalStyle’s recent article. 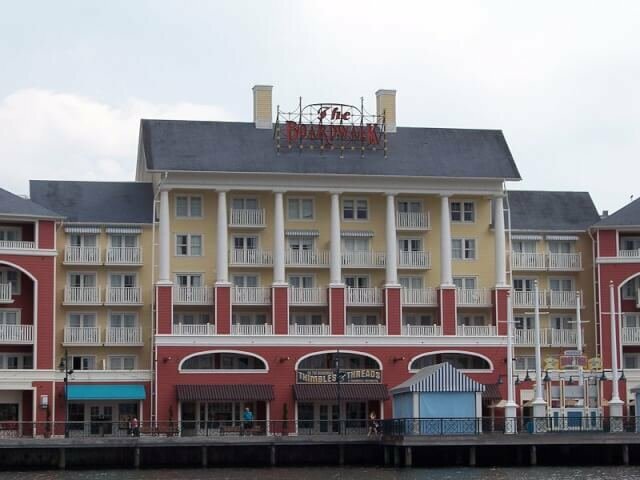 There is one notable difference between Boardwalk Inn & Villas and the other two Disney properties on the Boardwalk. 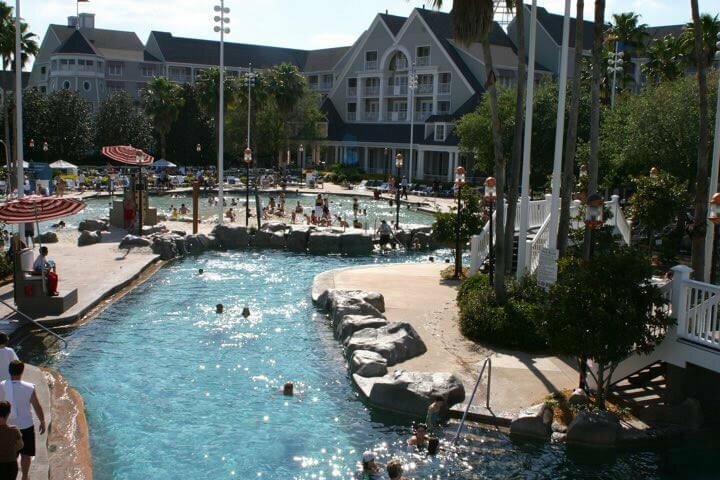 Guests staying at the Boardwalk property do not have access to the fabulous Stormalong Bay pool. This pool is reserved for Yacht Club and Beach Club Resort and Villa guests only. It’s worth looking into if you think you will spend a lot of time in the resort pools. The Boardwalk pool is nice (though for some the clown is a bit creepy), but there is no other pool on Disney property like Stormalong Bay in my opinion. In terms of amenities and location, the properties are very similar. The Beach club villas and Boardwalk villas have recently undergone remodels. The room amenities and decor are very similar. Is a Deluxe Resort Really An option? If you can rent DVC points or stay during a convention, and if your family is larger than four members, moderates and deluxe resorts may actually be a better value. Many of the 1 bedroom Villas offer a pulldown Murphy bed. This means a family of five can sleep in these rooms. Therefore, it may be more economical to stay in a Deluxe Villa renting points rather than renting two Value resort rooms. My daughter is actually relaxing in our Grand Floridian room here, but you can see the sofa against the wall is converted to a bed. I hope this has whet your appetite for the Boardwalk area of Walt Disney’s resorts. I can’t wait to tell you about the wonderful evenings we had there dining at the Flying Fish, eating ice cream from Ample Hills Creamery, and laughing until we cried at the evening street performers. So nice to see a post about the outside area of Disneyworld, rather than just the inside! No one ever talks about this! Great tips! Thanks for sharing on #TheWeeklyPostcard! Oh thanks! It would be a tough choice for me to pick betwee between the parks or the resort areas. There’s so much more to Disney than just the rides. Lovely pictures! I’ve never been to DisneyWorld, but I’ve been to DisneyLand Hong Kong which was rather underwhelming. This looks much more promising! Thanks Annette! It really is! I have made it an evening on several occasions, even if not staying in the area. It makes for such a nice night. Boardwalk is one of my favorites as well. I’ve always been surprised how few people use the entrance to Epcot near France. It’s such a great way to get into the park. I also love the boat over to Hollywood Studios and the great dining options in this area. Love getting to connect on #TheWeeklyPostcard and through #disfanchat. Thanks Sarah! I am enjoying all the new connections as well! All of those reasons you mentioned make Boardwalk so great! We even find the walk from HS back over to be a pleasant experience and often quicker than the boats if you aren’t too tired to make it. So I am not even sure if the boardwalk existed the last time I was in Disneyworld (as a kid)! I really want to go back. Will definitely be taking your advice and stay on the boardwalk. Will have to see if I have enough starwood points left! The last time we were at Epcot, we took the boat ride through the back entrance and around the entire Boardwalk area. It was our favorite “ride” of the day! Thanks for the details about the hotels. Yes! The hardest part of writing about Disney is knowing I don’t have an upcoming trip on the books yet! Well, if you decide to, check out my post https://veravise.com/stay-on-disney-property/ There are ways to do it and not spend too much. Also, since the Swan & Dolphin is a Starwood property, you can stay there for much less than a Disney resort (esp. if you have points 😉 Thanks for stopping by and letting me know you did! All these resorts would be a dream. I would stay there, get mousekeeping to decorate it all, and take the moveator to Chef Mickey’s for Mickey Shaped waffles. Plus I would go and see Chip n Dale over coffee. I hope to get back to Disney soon! But gosh what resort to pick! Hope to see you this week on Fly Away Friday!